The demand for wireless audio is increasing, while the available bandwidth is decreasing dramatically. The FCC has auctioned another large portion of the spectrum to T-Mobile and other data service providers. Are you up to the challenge of working with less spectrum? Watch this short video and click on the tabs below to learn more. We will not be offering this course in 2019. Read about a previous Making Wireless Work event. This event is only offered once each year. The manufacturers have been forced to introduce equipment in new RF bands. These frequencies (wavelengths) respond differently than what we have been dealing with. This seminar will help increase the reliability of your existing wireless systems and help integrate new technologies into your current and future productions. SynAudCon has assembled all-star staff James Stoffo, Karl Winkler, and Tim Vear to help you deal with these problems. James Stoffo works as a frequency coordinator for the Grammy Awards, Olympics, World Cup, Rose Bowl, and many others. Karl (Lectrosonics) and Tim (Shure) represent the manufacturers who make the hardware and assist their customers. They know the most common problems seen in the field. This team teaches with enthusiasm. It is clearly their passion. The training combines lecture with active demonstrations to drive home the points. How do I fit more channels into a lot less spectrum? How do I increase the reliability and performance of my existing wireless mic systems? How to implement new technologies outside of the traditional UHF spectrum into existing systems. How do I deal with interference from lighting and video walls? Read this interesting article on LED walls.
. How do I evaluate new wireless mic systems and components? What are the most effective transmit and receive antennas? Important information from T-mobile and their plans to begin operations. Letter from T-Mobile A brief explanation of their plans. Excel spreadsheet from T-mobile This spreadsheet list the cities and “Commencement of Operations Date”. (Dated 5/18/2018) Most of the timelines are in advance of the original timeline. If you are in one of the cities or counties such affected, very soon your 600MHz wireless gear will likely be hit with overwhelming interference. In addition, at that point, the operation of your microphones will become illegal on those frequencies that T-Mobile is operating on. You may then follow new rules for operation in the new “Duplex Gap” which is the guard band between the wireless carrier’s up and down link signals. (653-663MHz). See this “FCC Final Band Plan” for further insight into the “Duplex Gap”. There is also a 2MHz slice just above channel 37 where wireless mics can operate, (also under new rules). You are encouraged to reach out to the wireless manufacturers and others for help in understanding your particular situation. In any case, even where T-Mobile is not going on the air early, you must be below the 608 MHz service band no later than when the TV stations in your town move to their new lower channels, or July 2020, whichever comes first. Phase Assignment Closing spreadsheet – this spreadsheet list 9 phases in which TV stations were to be moved from their current channel to their new post auction channel. T-Mobile has deployed its 600MHz spectrum in 900 US cities and towns. Here the list. The next 3 years will present greater challenges to the wireless microphone and intercom operator than in any 3-year period in the history of man-made radio on the planet. Wireless manufacturers are responding by introducing new wireless technologies in alternate radio spectrum. The hardware used to implement this technology will require new and innovative antenna systems and accessories. The SynAudCon Making Wireless Work course will teach the strategies and techniques required to implement and master wireless audio operations well in to the future. Enjoy some photos from past Making Wireless Work seminars. James Stoffo has been working in the RF field for his entire professional career. Starting out as a Radio Surveillance Technician in the US Navy Submarine Service, he later wrote a book on wireless the RF Coordination and Procedures Manual for the Olympics Committee used as the blue print for radio coordination at the Olympic Games. After working as a field technician for Vega Wireless Systems, he founded Professional Wireless Systems, which continues to be among the top wireless audio providers in the US. James has worked as the Frequency Coordinator for many high profile special events including the World Cup, NBA All-Star game, NBA Finals, and the Rose Bowl. He has also served as the frequency coordinator for the Society of Broadcast Engineers. James has also worked as the Wireless Microphone and Intercom operator on many large special events including fourteen consecutive Super Bowls, numerous Latin and English Grammy Awards, every Latin and English Billboard Music Awards since 2000, Video Music Awards, Soul Train Awards, and Country Music Awards. 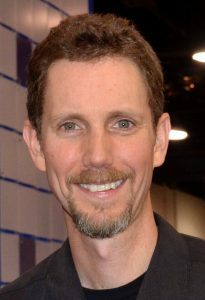 James designed the wireless audio systems for Microsoft Studios, most of the Cirque Du Soliel shows in the US, the NBC Sports Facility in Stamford Connecticut, numerous theme parks and attractions, and the QVC shopping Network, a 250,000 square foot facility with multiple studios on one combined antenna system. Tim Vear is a native of the south side of Chicago (Go White Sox!). A lifelong interest in both entertainment and science has led to the field of audio as his choice for combining these interests in a useful way. Prior to joining Shure he worked as an engineer for recording, radio, and live sound, and operated his own recording studio and sound company. He continues to play music professionally. Tim holds a BS degree in Aeronautical and Astronautical Engineering, with a minor in Electrical Engineering, from the University of Illinois, Urbana-Champaign. While at the University, Tim also worked as chief technician with both the Speech and Hearing Science and Linguistics departments. Since joining Shure in 1984, Tim has served in a technical support and training capacity for several departments. He has been active in product and applications education for Shure customers, dealers, and installers, as well as company staff. His major goal has been to increase the understanding of quality audio by presenting technical information in a way that is thorough but still very accessible. Tim’s particular emphasis is on the contribution of proper selection and technique for both wired and wireless microphones. In addition, Tim has done technical presentations for many industry organizations (NAB, NAMM, AES, and SBE), as well as for US government entities such as the White House Communication Agency and the US Air Force. Through his international assignments he has been fortunate to be able to deliver presentations in more than twenty countries and on all but one of the continents (still waiting for an offer from Antarctica ). He has provided specific applications assistance to various performing artists including the Rolling Stones and U2 and for theme parks such as Disney and Universal Studios. While at Shure, Tim has authored several educational booklets including Selection and Operation of Wireless Microphone Systems and Audio Systems Guide for Houses of Worship. His articles have also appeared in Recording Engineer Producer, Live Sound Magazine, Pro AV, Technologies for Worship, and Church Sound Magazine. Karl Winkler is Vice President of Sales and a 13-year veteran of Lectrosonics, Inc., a leading manufacturer of wireless microphone, networked audio, and matrix mixing products for professional use. While at Lectrosonics, Karl has provided wireless system design assistance and hundreds of frequency coordinations for theaters, broadcast studios, reality TV, feature film productions, major touring acts, and houses of worship. 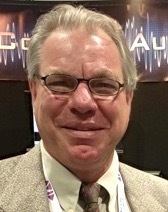 Karl also contributes a regular column for Live Sound International magazine, covering topics on the philosophy of sound, careers in the audio business, and technical topics including wireless microphone deployment. Prior to Lectrosonics, Karl worked as Brand Manager for Neumann/USA and Business Area Manager for Professional Products at Sennheiser USA. A native of Albuquerque, New Mexico, Karl holds a Bachelor of Arts in Music Performance from the University of Arizona and a Certificate of Advanced Studies in Recording Arts from the University of Southern California. In his spare time, Karl enjoys time with his wife and daughter, and performing classical music in the San Juan Symphony in Durango, CO, and the Giovanni String Quartet in Albuquerque. The class starts at 8:00 am. The doors to the classroom are open at 7:30 am. There will be a panel discussion on the first evening of the event. The seminar will end at 5 pm on the second day. The fee includes the instruction, class materials (full color manual and certificate of completion), beverage service and lunch each day, and dinner on the first evening of the seminar. I will email you a confirmation receipt if the registration is processed by phone or USPS. I will send another email about a week before the class with last-minute reminders. It is very important. It will contain information about what to bring , location, times, special events etc. Just an enthusiastic attitude and with an eagerness to learn. Seminar Location: The seminar will be held at the Holiday Inn Buena Park. The hotel is conveniently located near Knott’s Berry Farm, 6 miles from Disneyland and just off of Interstate I-5. If you need a vacation, stay a couple of extra days and enjoy the area. SynAudCon has a block of rooms at the Holiday Inn for the rate of $119. The room block is under the name “Synergetic Audio Training”. Call 714-522-7000 to reserve a room. This room block will end on 9/10/2018. The $119 room rate after this date is not guaranteed. 35 miles from Los Angles airport (LAX). Transportation to the hotel from the airport: The recommendations are – Uber, taxi or book your airport shuttle reservation online with Karmel Shuttle Service. Amenities include: Free internet, Free Parking, On-site Restaurant – Ventanas, shuttle to Knott’s Berry Farm and Disneyland. The seminar will be held in a meeting room “Grand 1 & 3” at the Holiday Inn in Buena Park. Seminar Times: We will begin at 8 am. The doors to the classroom are open at 7:30 am. We will have a panel discussion on Oct 1st at 6:30pm. The class ends at 5 pm on the second day. The class materials include: Full Color Manual, Certificate of Completion, 18 Renewal Units and an 1-year membership to SynAudCon. Meals: SynAudCon provides all-day beverage service and lunch. SynAudCon will also provide an evening meal on Oct 1st. Highly experienced instructors and the attendees help me learn a lot. C.S. I had no idea wireless was so complex. The instructors did a great job of breaking down the information in chucks – everything from a single handheld to a large deployment of wireless devices. Also liked that they adhered to the schedule. T.F. Great information and presented in an excellent way. T.H. Fantastic and excellent instructors. J.M. Great information and networking!! J. C.
Very well done! Good content that took us from rudimentary fundamentals all the way to advanced concepts. I would recommend these presenters to all attendees – regardless of their level of understanding of wireless. K.F. A lot of information was presented in a nice pace. Verification cannot be stressed enough. A.M. Very nice presented and also I enjoyed all the times I took this course. A.W. Really enjoyed the tag-team approach to the presentation and the experience of the presenters. The live demos were very helpful to understand the theory behind RF. K.F. Awesome instructors! Incredible Talent! Consider having a Level II seminar. A good seminar! I learned a lot. K.N. Great pace! This gave me time to reflect, retain and have conversation about the topic. No Name on Evaluation. What I learned and what I did not know and what I need to do for wireless coordination at my job and at church was covered in these 2 days. Thank you! J.W. I really enjoyed the course and learned a lot. Thank you!! Tons of info packed into 2 days – I wasn’t expecting this. I am very impressed! Top-notch instructors and even the production aspect of it is excellent. J.B. I came with very little technical knowledge on how wireless worked. The instructors were so thorough and knowledgeable. They answered many of the questions that I came with as well as ones I didn’t know I had. Awesome Job SynAudCon. D.G. The expertise of the instructors is amazing as well as their experience they were able to share with the attendees. Great Information and great class. G.S. One of the best I’ve ever attended and I’ve been to a lot of training. The team worked very well together. C. L.
Loved it! It’s worth repeating. T.T. Great seminar overall. Images in the manual could be a little larger. G.C. Personal testimonies about the work experience made the class more enjoyable. R.P. Great Presentation! Great Material! C.S. This is my first seminar – very well put together. C. W.
Excellent! Practical! Eye Opening! B.N. It was great to hear from 3 leaders in the industry. It allowed multiple perspectives on how to achieve the best desired results. R.K.
You nailed it! The content was even better than I expected. The topics chosen and the order they were presented was perfect for me. This is my second time and I learned even more than the first time. C.T. I enjoyed the demonstrations and the wealth of knowledge of the instructors. Wonderful experience! M.M. I enjoyed the seminar and learned very much. I know this will help me with my job as a monitor engineer. Z.E. Learning what I’ve been doing whether it is correct or conflict in thought process is invaluable for my future in this industry. D.N. Instructors were tops in their field. Slide show very good. Breaks spaced out nicely. R.H. This has been a perfect mix of real world and theory to help me understand the material. W. P.
Very timing workshop with the impending loss of the 600 mHz band – much good information. Excellent review of wireless techniques and practices. Enjoyed seeing products from several manufacturers. As always, the AV presentation technology was flawless and very professional. D.T. Great Seminar. Please expand upon wireless coordination. D. R.
I got the main points. The “how and why it works” was over my head but the “do’s and don’ts” made sense to me. J.J. The information was great and gave me the knowledge I need to design and troubleshoot wireless systems. Would like to see more demos. G.T. This training is so valuable. It gives me all the info to be successful in my job. It told me all the places I am doing wrong as well as where I am deploying best practices. Thank you!! A.K. It is a performance / How of Worship oriented seminar. Commercial AV components still missing but this is what the attendees wanted. J.N. There were great explanations of the concepts and practical applications. I feel I can better address the issues on the job. K. S.
This seminar was a great mix of technical teaching with practical experience of tips and tricks. Very entertaining while also super educational and informative. J.B. Loved the panel! Loved hearing everyone’s thoughts, questions, and experience (including the attendees). Great experience! S.P. This was an incredible opportunity to learn from three of the greatest RF experts in the industry today. I felt the topics and course materials were all applicable and presented in a logical order. C.M. Loved the variety of gear used in the demos and the available time for inspection. Presenters were friendly and approachable and even shared meals with the students. They’re tireless. J.F. The instructors are very knowledgeable of the material and very good at presenting it in an easy to understand method. D.M. This was great. I’m getting fascinated with RF and enjoying it being demystified. One criticism – use a laser pointer next time. D. M.
There was good interaction between presenters and the audience, especially given the newness and complexity of the subject and the newly rising issues. M.K. It was great to meet other people that have the same passion for RF. It’s a family. R.S. Enjoyed the open forum with lots of Q & A. S.W. Brenda is awesome! Communication and event prep was excellent. Great Venue. D.S. Fantastic offering of multiple topics from several viewpoints. Incredibly helpful insights. B.J. I loved everything. The only thought I had was that it be more of a presenter – student type of question – answer time. G.V. Not one single time did I see any instructor roll his eyes with simple questions. That means a lot. R.M. Great Seminar. I was well-informed and well fed. T.H. Very informative. The instructors are well updated. M.J. It is a friendly learning environment. E. M.
I have to say, it was one of the best learning experiences I’ve had in 20 years. Thank you! Top rate panel open to sharing hints, tips and past experiences to drive home the concepts. A ton of info but presented in a way that does not overwhelmed. I greatly appreciated the more advanced aspects of the presentations. My crew and I have faced a lot of the issues presented. It was nice to see the technical aspects of what caused it. Rare opportunity to be with 71 other RF engineers – breaks and meals were informative and fun. I go to a lot of RF training. This class was more informative because they provided real-life application along with theory. I enjoyed the panel teaching method. They were well-prepared, worked well together, and kept things on track. Nice work on a wonderful training. Love it! Great instructors – they were very knowledgeable and engaging. They covered a lot of information that is useful to me. I will apply it immediately.